Description Lace Iron. 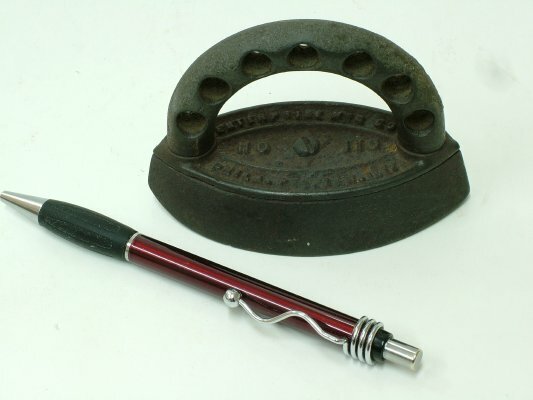 The first photograph compares the size of this iron to a ball point pen. Permanent iron handle 3 inches long. "Enterprise" number 110, Philadelphia.